This show was broadcast on August 20, 2013. 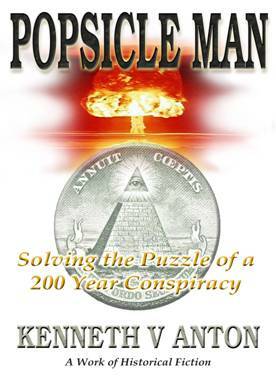 Guest: Kenneth Anton, whose new book Popsicle Man: Solving the Puzzle of a 200-year Conspiracy lays bare the NWO takeover of America, from the establishment of the Rothschild-owned “Federal Reserve” to the banksters’ 9/11 coup d’état…and outlines a revolutionary solution. The book does not shy away from naming names – and exploring the central role of Zionism in the New World Order project. 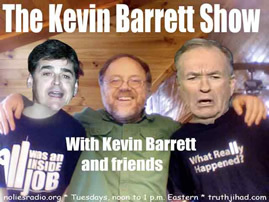 This entry was posted on Saturday, August 17th, 2013 at 11:14 am	and is filed under 9/11, Censorship-Propaganda, Disaster Capitalism, Econo, False Flag/Fake Terror, Freedom, Justice, Kevin Barrett, Martial Law, Mind Control, News, Protest, War Crimes. You can follow any responses to this entry through the RSS 2.0 feed.